BOGO = Buy one, get one free. BOGO applies to multiple purchases. For each single item you buy, you can get another one free. Once you complete your purchase(s), you'll receive email instructions for accessing them. 2) Let me know which page you want free. 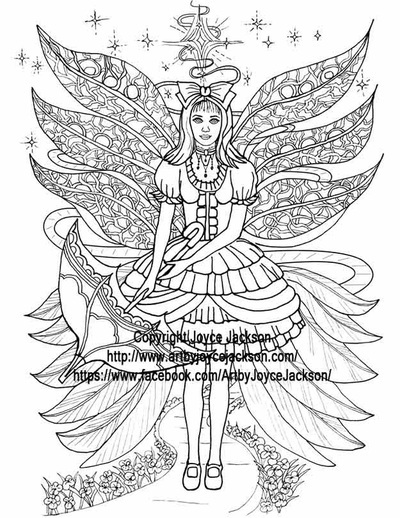 a) Type the free coloring page name you're requesting in the notes box when you check out with Paypal. Or, b), Email me the name of it. 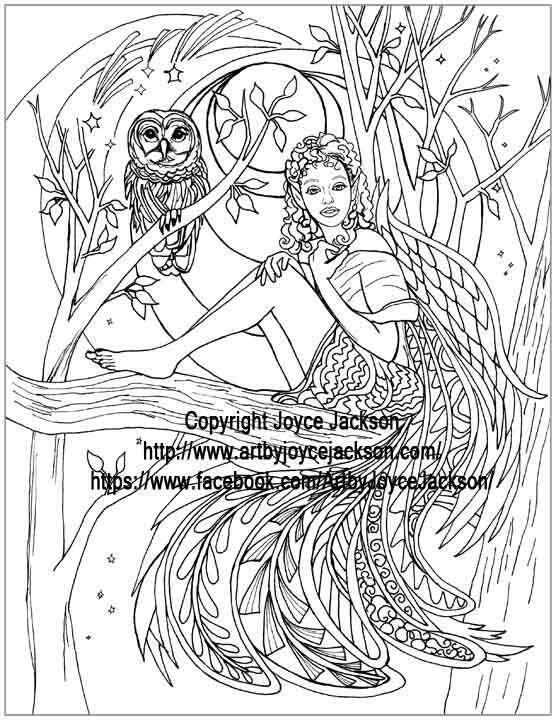 3) Instructions for claiming your purchase: After you add your choice(s) to cart and complete your purchase, look for an email from Joyce Jackson containing instructions for accessing your purchased coloring page. Allow overnight to 24 hours to receive your email. 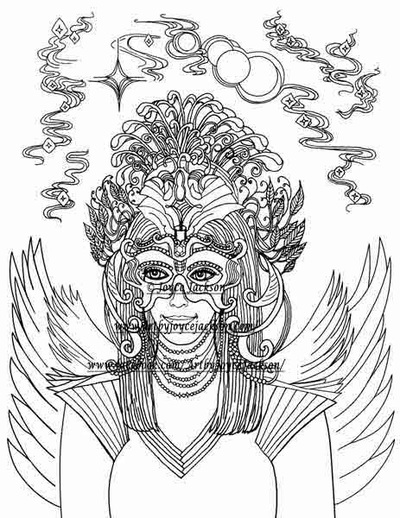 Once you finish your coloring pages, contact me using the below form to let me know if you'd like them to be published on this website. All you'll need to do is send me digital, color pictures of them. Quantity is not important. It can be one, two, three pages or more. This is your chance to show off to your friends and family what you can do with these! FYI - Your photo file sizes need to be small enough to send in an email attachment. They also should be clear with no blurriness. 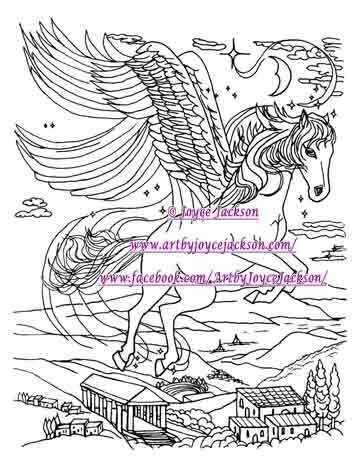 Let me know what coloring pages, done by you, that you'd like to submit to be published on this website. 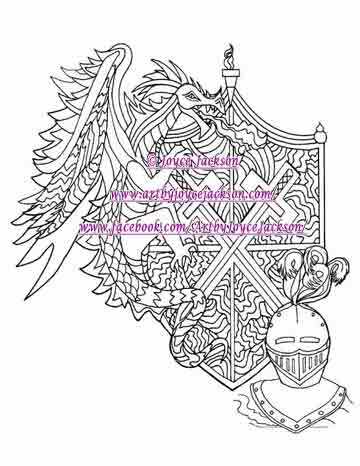 Include a short description of what materials or any special techniques you used. 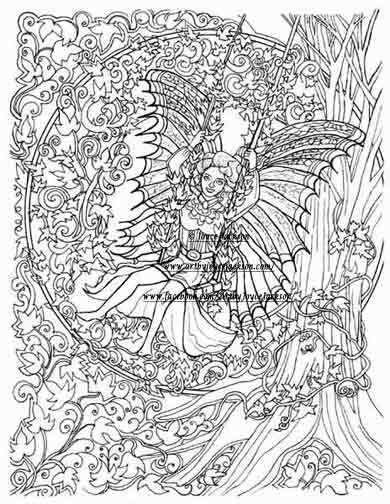 Stated simply, this is "A printable coloring page for adults and children, to be used for recreational, non-commercial purposes only." 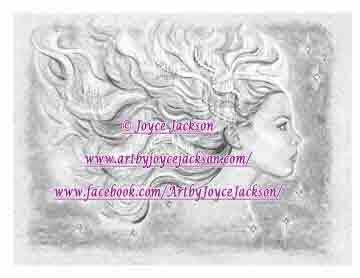 If you like my artwork, please also show your support for me as an artist. 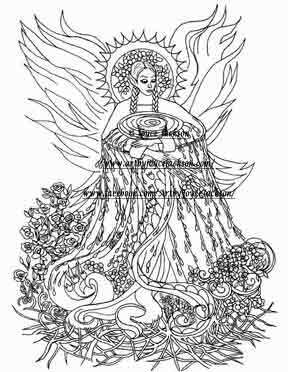 All my artwork is copyrighted. I know this seems to make it difficult for you to enjoy it freely, but if you follow a few simple steps, everything will be OK. Just remember not to sell the pages, colored or altered by you in any way. Please also credit me as "Artist, Joyce Jackson" whenever you share pictures of your results. One of the best ways to do this is on the internet is in writing, preferably on any pictures you publish. 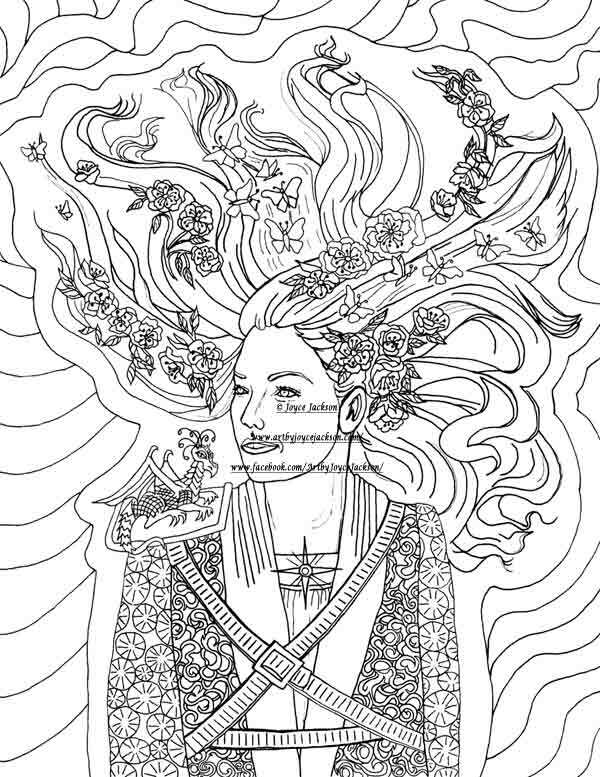 You can also insert your name, appropriately labelled as "Colorist" or something similar, at the base of pictures before you post them anywhere. That way, if they're shared, they're less likely to end up stolen by unscrupulous people who pass them around without a care who created them. This is a process that tends to snowball. Artwork originators' names get removed & erased from the public eye upon which they depend to make a living. Their prospects & possibilities to benefit financially are cut off every time someone neglects to credit them. That's all there is to it! Any questions, please don't hesitate to ask. I'll send you a friendly, courteous reply. Above all else, I want you to enjoy these! 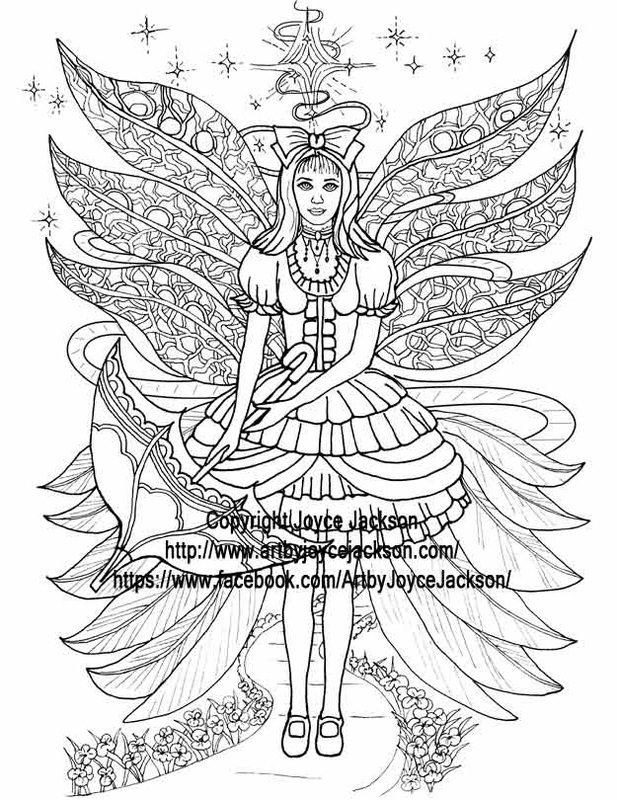 More coloring pages may be added periodically. Don't worry if you don't see your purchased pages here. You'll receive email instructions for accessing them.